Rival Libyan factions agreed on Tuesday (29 May) on a declaration that would create a political framework to pave the way for UN-backed elections in December to end the country’s seven-year-old conflict. The oil-producing nation splintered following the 2011 NATO-backed revolt that toppled Muammar Gaddafi, and since 2014 has been divided between competing political and military groups based in Tripoli and the east. Taking advantage of the weakness and divisions of the EU, and the lack of interest of the US, Russia “plays games for fun” in Libya, expending little effort, but potentially obtaining important dividends, analysts said at an event in Brussels on Wednesday (26 April). 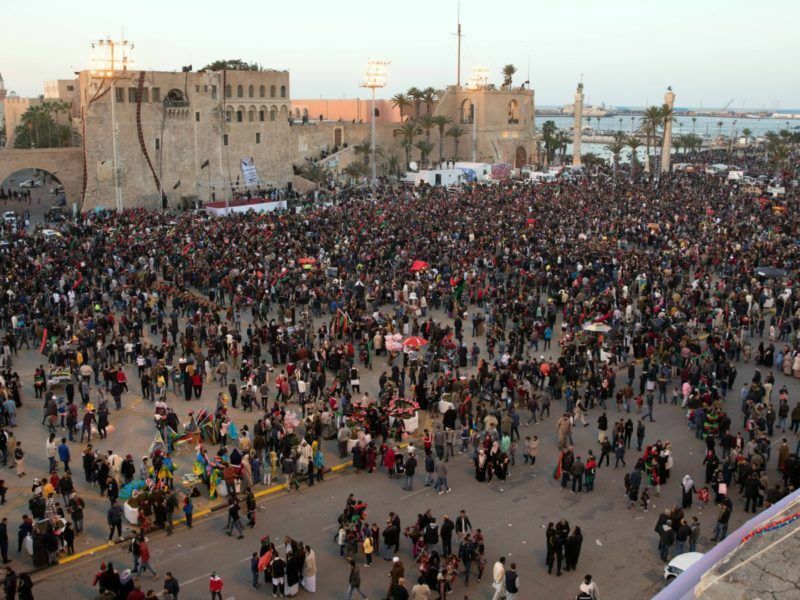 The United Nations is leading an effort to reunify Libya and to organise national elections. 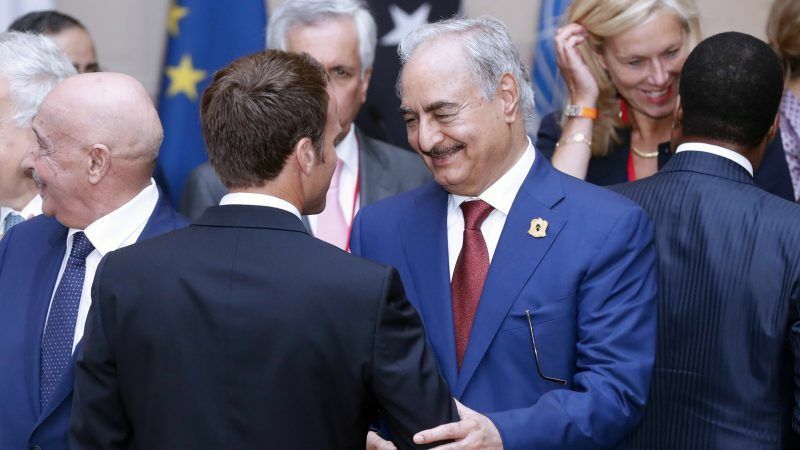 The Paris meeting included eastern-based commander Khalifa Haftar, Tripoli-based Prime Minister Fayez Seraj, and the leaders of rival parliamentary assemblies, aimed at getting them to agree general principles for ending the conflict and moving towards elections. “Against the backdrop of a Libyan-owned process and the full engagement of all Libyan parties involved, we committed in Paris on May 29, 2018 … to work constructively with the UN to realise credible and peaceful elections as soon as possible and to respect the results of these elections when they occur,” an eight-point joint statement by the four stakeholders read. The declaration was not signed as originally planned. It calls for the immediate unification of the central bank and the phasing out of parallel government and institutions. It makes a commitment to support the creation of a national army and encourage a dialogue on the issue in Cairo. “The parties have committed to set the constitutional basis for elections and adopt the necessary electoral laws by 16 September 2018 and hold Parliamentary and Presidential elections on 10 December 2018,” the statement said. It agrees to an inclusive political national conference, but unlike an earlier draft seen by Reuters it no longer sets a timeframe. The final statement no longer directly threatens international sanctions on those who impede the accord or dispute the outcome of elections, saying only that they will be held accountable. Several countries, including the five permanent members of the UN Security Council, Italy, Turkey, United Arab Emirates, Qatar and Libya’s neighbours attended the meeting. Past attempts at peace deals in Libya have been scuttled by internal divisions among the country’s armed groups and by countries backing different local actors. Under President Emmanuel Macron, France has tried to play a bigger role in coaxing the factions to end the turmoil, which has let Islamist militants gain a foothold and migrant smugglers flourish.